This blog is still being sorely neglected, with only 2 entries so far this year. Since it’s a rainy weekend, curtailing outdoor activities, I’m faced with the choice of cleaning house, watching inane Derby blather on TV (if my TV even still works, I haven’t turned it on for months), or updating my blog. Housecleaning is probably the most sorely needed, but it’s almost as distasteful as Derby idiocy, so here I am. Some of the updates probably deserve spinning off into separate articles, so today might see the article count for 2010 double. As almost everybody in the world knows, today is Derby Day. And, as almost everybody who reads this knows, I really don’t care. People who know just enough about me to know that I like horses automatically assume that I’m a racing fan, because that’s the extent of most people’s knowledge of horses. And, in most people’s minds, one of the ultimate horse events in the world occurs today, the Kentucky Derby. So naturally I must be excited. People who know a little more about me know that, despite my love for horses, I’m not really a big Derby fan, and the Derby is just another 2-minute sprint preceded by 2 weeks of hype. People who know a little more about horses know that one of the ultimate horse events in the world occurs the weekend before the Derby, the Rolex Kentucky 3-Day Event. As usual, I spent most of the weekend at the Kentucky Horse Park watching some of the best horses and riders in the world compete in an event which is a far greater show of equine athleticism than a 2-minute sprint. In past years, Rolex has earned a separate article here, as well as my Rolex website. But recently, I’ve gotten lazier about photographing and writing about the event. When I first started documenting it on the web, in 1995, there wasn’t much other information about the event available online. Now thousands of people are carrying digital cameras and uploading pictures to a multitude of photo sites, which eliminates the cool factor of my site. So, although I still enjoy the event as much as ever, I’ve gotten less enthusiastic about spending a lot of time editing and posting photos when similar photos are so readily available. This year, I didn’t even carry a camera for cross-country, due to the weather forecast. (As it turned out, a wise decision by the organizers to tighten the schedule to finish before the bad weather hit meant my camera wouldn’t have gotten soaked, but I didn’t know that at the beginning of the day). I took some pictures of stadium jumping, and posted a few of them (including the winner), in a Facebook album. I’ve decided that although Facebook is an easy to post quick snapshots, I don’t like it as a site for posting photos like this, because it shrinks them to a less-than-impressive size. So if I post any more of my stadium pictures, they will be somewhere else, probably on my Rolex site. But it’s more likely that I won’t even bother. If you want to see good Rolex photos, you can probably find all you want with a web search, which a few years ago would probably have led you directly to my site, but will now provide more choices than you have time to look at. Moving along to other topics, there have been some changes in the four-legged population here. Some were previously mentioned here, and others were not. In summary, the canine and equine population is now balanced at two of each. More details will be forthcoming in a separate post. 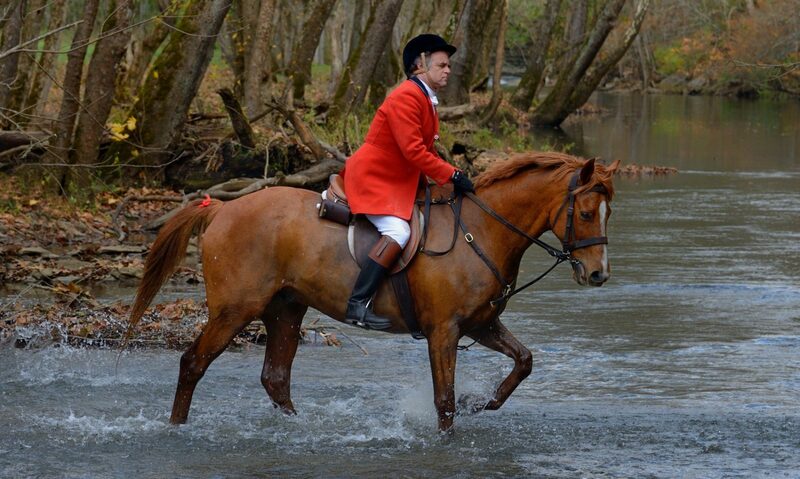 And speaking of horses and dogs, foxhunting season ended March 27, with no mention at all on this site. Although there was nothing really momentous about this season to make it stand out from others, it probably still deserves a separate wrapup article, which will come soon. Looking back through previous entries to see what has been mentioned and what hasn’t, I see an article from last year about finding a robin’s nest on my tractor axle, and a followup documenting the fate of that nest and others. Yesterday I noticed that my tractor has once again become a robin’s mobile home. Earlier I noticed some debris under the seat that looked like it might be the beginning of a bird’s nest. I brushed it away, hoping I could convince Ma Robin to locate her domicile somewhere more appropriate. I then forgot about it until I was mowing yesterday, and noticed a nest with 2 eggs. I didn’t get a picture, and I’m not venturing out in the rain just for that purpose. As the tractor is going to spend the next week parked in a different location, I’m not sure Ma Robin is going to find it again, so this year’s results may be worse than last year’s 50% hatch rate. That seems to be all the recent news that’s worth mentioning, so I think I’ll wrap this up and move on the more specific items that I mentioned.